Chiropractor or Osteopath? Who should you see? Which is better? What in fact is the difference between the two therapies? These are questions that are asked by patients at our osteopath clinics on a daily basis. There are some historical differences in the philosophy of the two professions, but what most people want to hear is how their treatment may differ by visiting either therapist. Like most professions, I should start by saying that there is a huge variance in the ways that individuals within both professions practice. Some patients who have seen both, may say that there are chiropractors out there who practice more like an osteopath might and likewise, some osteopaths who practice like chiropractors – these practitioners may not massage the soft tissues or focus on rehabilitation at all and only ‘adjust’ or manipulate joints. A significant difference deciding between a chiropractor or osteopath is that while the chiropractor is primarily focused on the spine and joints, an osteopath is perhaps more concerned with the rest of the body- taking a more holistic or “overall” approach. 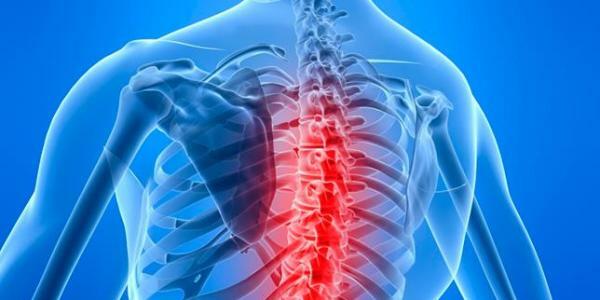 They may treat patients for not just musculo-skeletal symptoms, but also people with problems in other systems in their bodies- possibly cardiovascular, respiratory, or digestive problems or any other number of problems that may seem unrelated to the spine or joints. This assessment of the main difference comes from chiropractor- “Typically chiropractors will use what we call “Adjustments”, which are as specific as possible and aimed at restoring joint position and function. Osteopaths typically take a broader approach and may treat a larger area…. both professions are highly trained at an undergraduate level and both are trained to be excellent clinicians and to care for your health first and foremost”. A very fair viewpoint, I think. Osteopathy is a natural therapy, which combines manual ‘hands-on’ techniques with exercise and advice. Osteopathy works with the structure and function of the body and is based on the principle that the well-being of an individual depends on the skeleton, muscles, ligaments and connective tissues functioning smoothly together. An osteopath works to restore your body to a state of balance without using drugs or surgery. According to the General Chiropractic Council (GCC), chiropractic is “a health profession concerned with the diagnosis, treatment and prevention of mechanical disorders of the musculoskeletal system, and the effects of these disorders on the function of the nervous system and general health”. Chiropractors (practitioners of chiropractic) use their hands to treat disorders of the bones, muscles and joints. Treatments that involve using the hands in this way are called “manual therapies”. Chiropractors use a range of techniques, with an emphasis on manipulation of the spine. Chiropractic therapy is actually derived from Osteopathy… osteopathy was invented by Dr. Andrew Taylor Still in 1872 and Chiropractic care was invented by one of Dr. Still’s students- Daniel David Palmer, in 1895, so there are many obvious similarities. However you should be aware that subtle differences between the two techniques may make one more suitable for you than the other. The major difference between an Osteopath and a Chiropractor is that while the Chiropractor is primarily focused on the spine and joints, an Osteopath is also concerned with the rest of the body. Osteopaths tend to work more holistically; generally looking at the contributing factors that may be causing your symptoms which need to be addressed too. An effective case history to be taken. An effective clinical examination undertaken. An accurate clinical diagnosis reached. Effective treatment for your condition. Effective management over the longer term if needed. … then you have found the right place, the right clinic and the right practitioner regardless of their profession. Osteopaths use soft tissue massage, stretching and manipulation techniques to re-balance your body’s structure in a way that enhances your blood flow and nerve function. This allows your body’s natural healing process to be improved. Chiropractors use manipulation to adjust the position of your spine and joints in order to improve your nerve function and healing ability. Our ethos at Chhabra Osteopathy is that prevention is better than cure and aim to recognise imbalances within the body and treat them even before they become symptomatic. All of the team of osteopaths at Chhabra Osteopathy Clinics have the greatest respect for the chiropractic profession. In many ways we are trying to achieve the same goals with our patients but we use slightly different techniques. Make sure that the chiropractor or osteopath has studied a four or five year degree. Ensure that they are a member of their respective governing body (General Osteopathic Council or General Chiropractic Council). This ensures that you know that you will receive a minimum standard of care and treatment whatever chiropractor or osteopath you choose to visit. Use a practitioner who has been recommended by a friend or GP. Don’t persist with treatment if the treatment does not suit you. With clinics in Surrey (Westfield, Woking and Hinchley Wood, Esher) and South West London (Wimbledon), our team at Chhabra Osteopathy aim to treat a wide range of complaints, using osteopathy. We are a local, easily accessible family run osteopathy practice, operating from three sites in South West London and Surrey. We have over 35 years experience from which we have developed a highly effective, safe, gentle manipulation and massage approach to Osteopathy. Our approach helps improve the function of the joints, muscles, ligaments and tendons, providing pain relief for a wide range of musculoskeletal conditions. Our practitioners use both a structural and cranial approach to treatment and individualise treatment plans for each condition or complaint, for each and every patient. We don’t only treat injuries however- it is our aim to look after patients even if they have no obvious problems. Our team are highly trained to recognise imbalances within the body that may not yet be manifesting themselves as pain or symptoms. We endeavour to look after patient before they experience pain and advocate the motto “Prevention is better than cure”. A gentle form of treatment, osteopathy can benefit most types of aches, pains and strains in people of every age. Osteopaths often provide advice on posture and exercise to aid recovery, promote health and prevent symptoms from reoccurring. As osteopaths, we treat many conditions, although a common myth is that most people think of us as ‘back specialists’. Although we do see a lot of people looking for back pain relief, don’t forget that osteopathic treatment can benefit all parts of the skeleton. It does not just target your symptoms but treats the parts of the body that have caused these symptoms. Our osteopaths assess and treat people of all types and ages: from the very elderly to new-born babies, and from pregnant women to elite sports people. If you would like more information on our clinics and the various conditions we commonly see, please visit our clinic website, or book and appointment online. Kieran began training as an osteopath over 20 years ago and qualified through the world famous British School of Osteopathy in London where he is now also a senior lecturer.